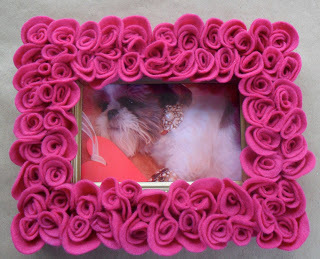 After gaining inspiration after a recent trip to Pier 1, I decided to make this lovely rosy felt frame as a Valentine’s gift for Alyson. Okay, I’m kinda cheap, really crafty, and the Pier 1 frame cost $29. Already having felt and glue sticks at home, all I needed was a Dollar Store frame to complete the project. 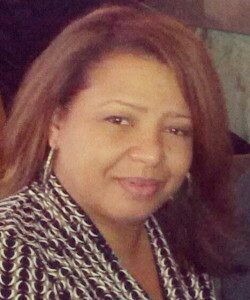 I love Pier 1 and I often buy things from them. In this case, I didn’t see paying for something that I could easily make. I made something cute for my daughter, used some of my endless supply of crafting materials, and Zoe was able to completely “work it” for treats…Win, Win, Win! 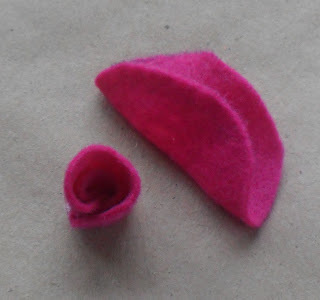 Make the roses using a 1 1/2-inch & 2-inch circle, folding both. After making a bud with the smaller circle, wrap with with larger circle. 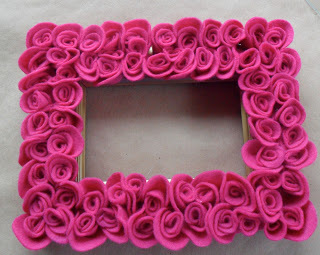 After tacking the roses together with glue, apply glue to bottoms and attach them to the frame. Almost finished…Fill in any spaces with extra buds. All filled in ~ Just add your photo. *The inspiration frame at Pier 1 was black. I chose to spray paint my frame gold. Use a 1 1/2 inch circle to trace and cut 70 circles. Use a 2-inch circle to trace and cut 60 circles. Make roses by folding smaller circles in half and rolling, rounded edge up, into a rose bud. This will create the centers for your roses. Fold larger circles in half, wrap around “center” buds to create the roses. You will have 10 buds remaining. After completing the folds, repeat process using a glue gun to tack the pieces together. 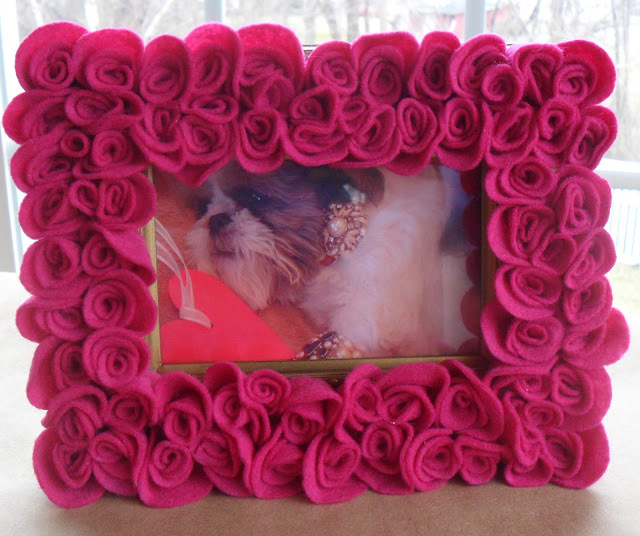 Allow glue to bond for about 20 minutes before attaching the roses to the frame. 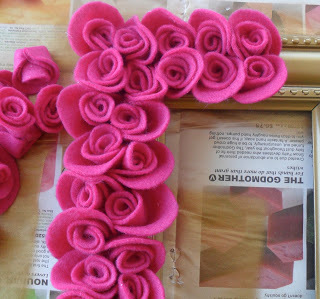 When ready, apply glue to the bottom of a rose and start by attaching at a corner of the frame. Repeat the process, tightly filling the frame with roses. Use remaining rose buds to fill in any spaces. « 7 x 7 Blog Award~Featuring Zoe in a Ladybug Tutu! Wah, you are so talented to make this. I’m too lazy…and I don’t want to pay $29 either… so I end up with dreaming about having one nice photo frame. lol. Love this frame! Love this! It looks fantastic but you say it’s so easy. That’s definitely my crafting style. Thanks for sharing. Visiting from 36th Ave. linky party. I just saw this at Pier 1 today, too. It was on the clearance rack, but the $18. 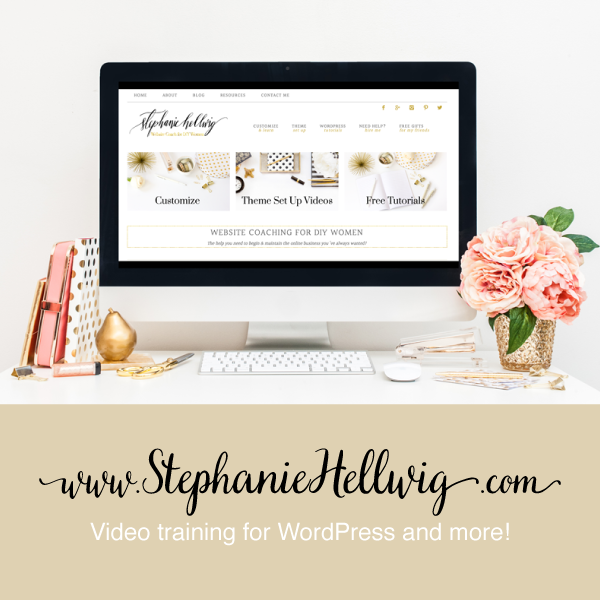 price tag was still too much for my frugal and crafty ways. Plus, I have a whole bunch of chipped and awful looking frames from Goodwill and garage sales that I can’t stand to throw away but was lacking inspiration to re-purpose them. My issue was trying to find a quick easy way to make felt flowers and all the tutorials online were for ones that take way too much time. 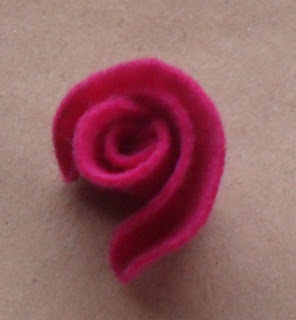 Thanks so much for posting this quick easy felt flower method! I hope mine comes out as pretty as yours.